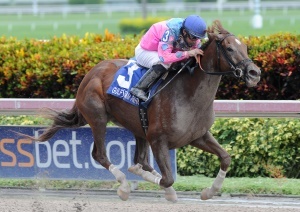 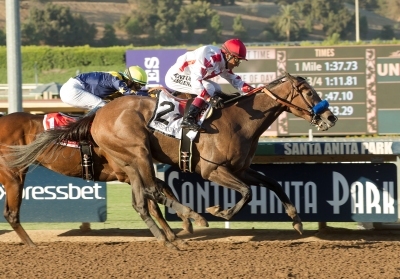 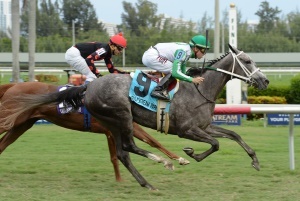 Arindel’s Silver Diva came from off the pace in the $75,000 Our Dear Peggy Stakes on Saturday at Gulfstream, reached contention turning for home then wore down fellow OBS graduate Devilish Romance (April ’16, August ’15) in deep stretch and beat her by half a length. 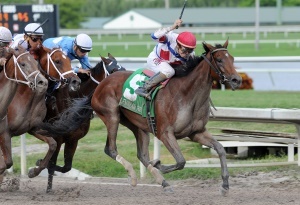 It’s the second straight win and first stakes victory for the 2-year-old Florida-bred daughter of Circular Quay, trained by Ronny Werner, now 7-2-3-1 with $97,875 in earnings. 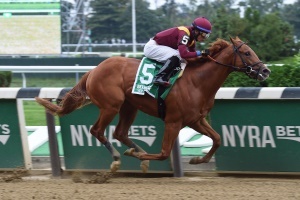 The two time OBS graduate was sold by TdM Sales (Tristan & Valery de Meric), Agent, at the 2015 Winter Mixed Sale and then resold for $4,000 by Twin Stars Equine LLC, Agent, at the 2015 August Sale.